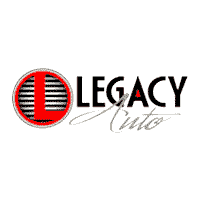 Legacy Auto Center is a family owned and operated Chrysler Dodge Jeep RAM dealership located in Garden City, KS. Jason and Jennifer Dougherty opened Legacy in 2010 as a used car lot with only one part time secretary to help answer phones. Over the years, Legacy grew and the Dougherty’s were able to hire an entire staff of employees. In 2015, Chrysler approached the Dougherty’s with an offer to become a franchise, an opportunity the Dougherty’s consider a blessing. Since their decision to become a Chrysler Dodge Jeep RAM store, they have continued to grow and are able to assist customers that come from all over Southwestern Kansas. The Dougherty’s possess a strong Christian faith that drives them to operate their business with integrity and one where honesty and trust are prioritized above all else. The biggest blessings they count are the ways in which and the organizations they are able to give back to. They regularly take part in donating to the Operation Christmas Child drive by Samaritans Purse, Western Kansas Child Advocacy, several facets of Garden City Community College, Key’s To Your Legacy truck give away and Leave A Legacy Foundation for breast cancer awareness. Legacy Auto Center takes pride in the services they provide and are excited to welcome new customers into their family!